Rarely do I venture out to the streets of Kuala Lumpur for my meals, especially with the sheer number of air-conditioned eateries in the malls promising convenience and comfort, paired with the myriad of international cuisines readily available almost everywhere. Moreover, KL’s streets and public transportation systems are NOT the most accessible options, in the first place. 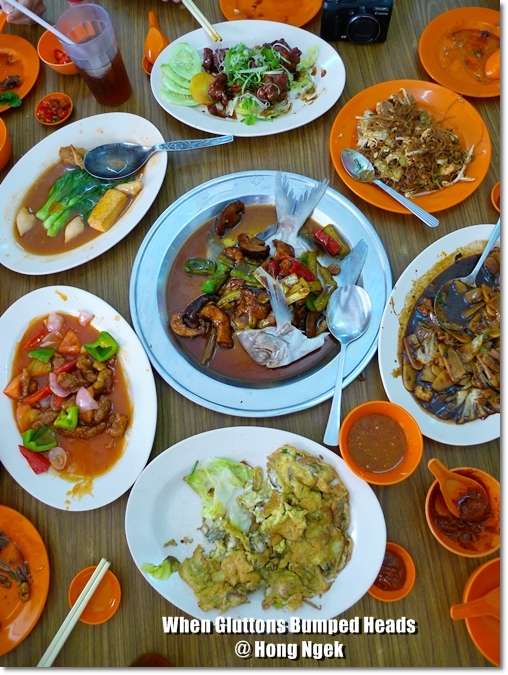 All dishes and condiments (including Hong Ngek‘s signature ‘sambal’ on the lower right of the photo), halfway to being polished off in a flash. I tell you, when gluttons bumped heads, all hell broke loose. Literally. 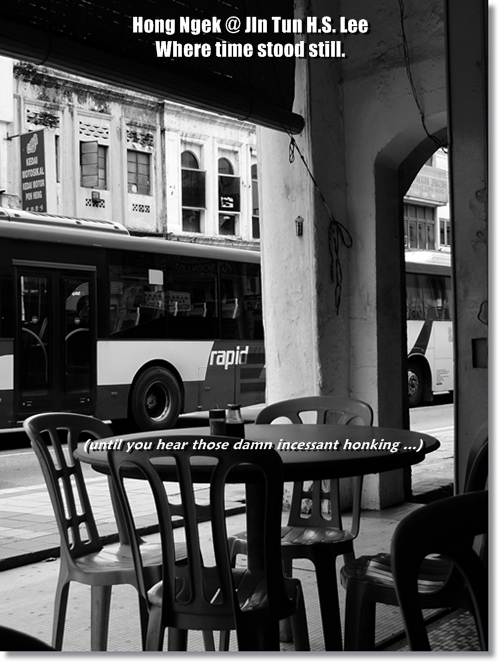 And worse is, when you’re hunting for grubs in the most congested nightmare that is Petaling Street and its vicinity, you’re probably learning a smattering of new curse words you’ve probably never heard before. And putting them to good use. For the pesky “double-parkers” (me thinks this should be a term coined by Malaysians) lining up by the streets in a parade-like camaraderie will test your patience to no end. Not to mention the incessantly-blaring horns, buses and cabs bellowing smoke sufficient to paint the skies black, and far-from-courteous drivers with a penchant for dagger stares, and flipping fingers. No, they rarely use the thumbs-up sign, in case you’re being optimistic. 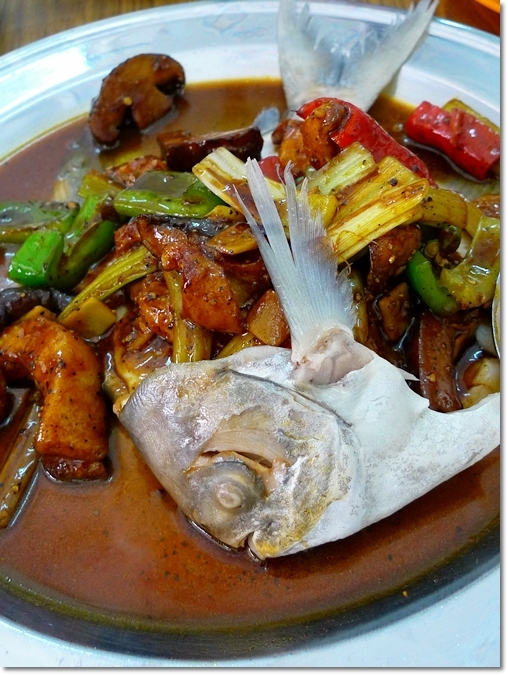 Yin Yang Pomfret – Much like Harvey Two-Face, the fish was steamed on one side, and the other half filleted then stir-fried with a thick, dark black pepper-based sauce. 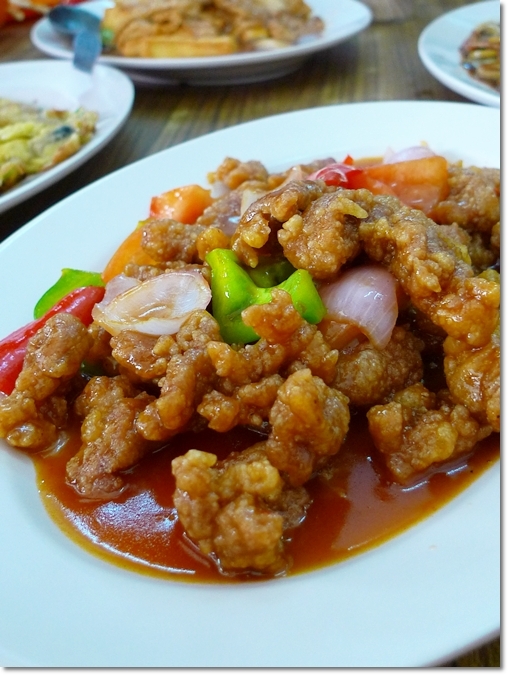 Sweet and Sour Pork – Staying true to its roots, as good Gu Lou Yuk should be; Crunchy on the outside with a lightly coated batter that’s not too thick, and a gravy that’s proportionately-flavoured – Not too sweet, sour or spicy. The dishes at Hong Ngek screamed HOME-COOKED, for you can throw caution to the wind and order away (from the many laminated pieces of printed photos of the dishes pasted on the tiled walls, or pointing to the plateful of delights ordered by your neighbouring tables), and yet came out mighty contented with the food. Decades of legacy strengthen my stand on this. The restaurant does not occupy the most strategic of location, and could easily be written off as another generic coffee shop, but yet the steady stream of customers come lunch hours renders the place significant amongst the rapid development/commercialization (or degeneration, depending on how you look at it) of the area. Guinness Pork Ribs – Not the most memorable, yet should be a hit. And what better way to introduce your kids to alcohol than these sweet, glistening pieces of tender, boneless meat? 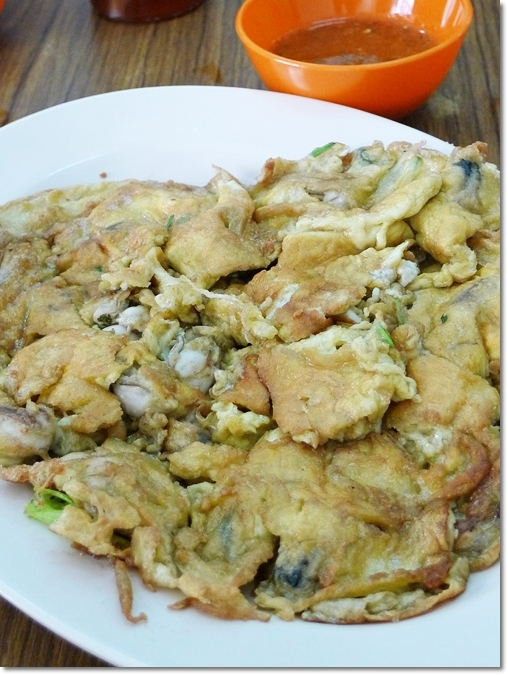 Or Chien (Oyster Omelette) – Merely passable, for the soggy/bland omelette did not do justice to the plump oysters used in the mix. And the salty chili sauce did not help either. Mostly hits, some misses; the meal at Hong Ngek tied bonds, satiated hunger pangs, and brought me relief in knowing that these establishment still exist in the heart of the city that has been already choked with development. Maybe, just maybe, we all should let our hair down someday, walk away from the chic eateries/cafes/bistros we have all been pampered with, and seek solace in dining in such timeless restaurants. 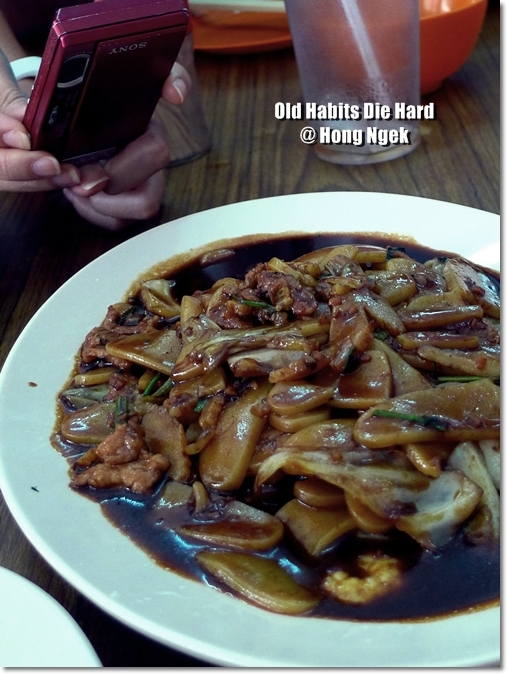 After all, you will never know when Hong Ngek will turn into another Old Town White Coffee or Hon Kee Porridge, and goes all fancy-whimsy/ too commercialized for its own good. Business hours: 10:30am – 7:00pm from Mondays til Fridays. 10:30am – 5:00 pm on Saturdays. Here’s a GOOGLE MAP to Hong Ngek for easy reference. no need to blog oredi la.. hehe.. great post.. you are so funny j2kfm. great descriptions on the food, the ambiance as WELL as the people! 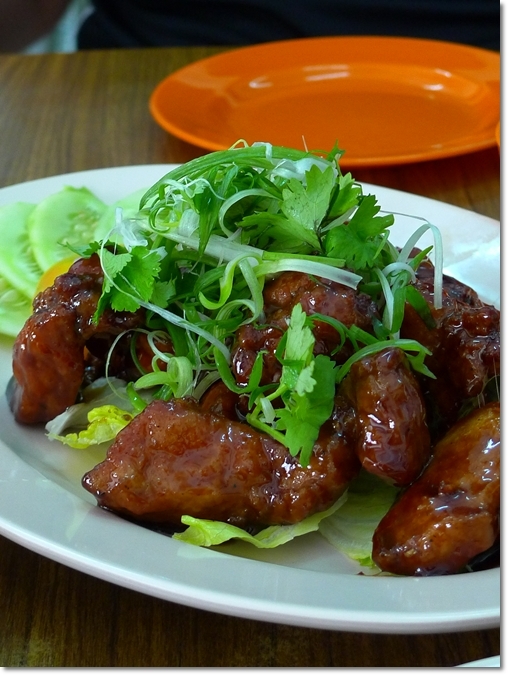 The sweet & sour pork looks very old school. I like! 😉 When am I going to meet you in person??! Hi Babe, soon enough, soon enough …. but your schedule’s perpetually packed right? Hehe. Oh okay okay ….. no problem! I wanna see how you walloped the RIBS! Hahaha, yeah yeah, though it was really nice meeting you guys lah. Let’s do lunch again sometime. Gu Lou Yuk is one of my fave.! Me too, Gu Lou Yuk is also my personal favourite since childhood. Can’t go wrong. Oh man I always try to avoid that road and any other roads within that vicinity if possible. The parking is a b*tch, not to mention the myriad of sounds and smells (smoke, not food) that attack your nose buds. THAT aside, this looks like a shop from a vintage kampung or town, very home-cooked! 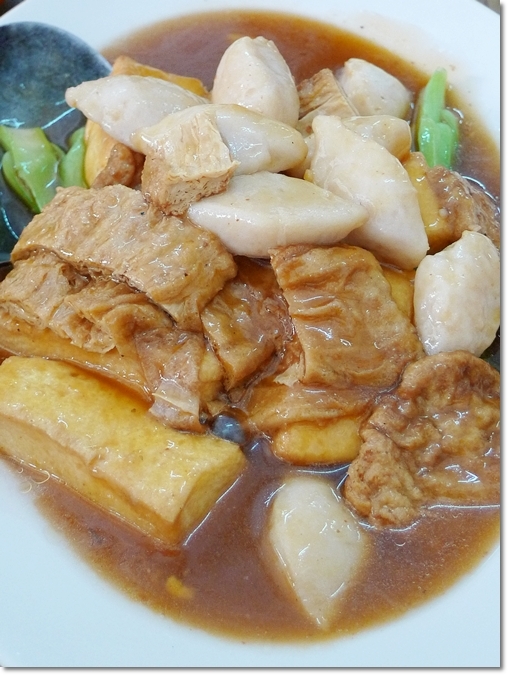 Yeah, Sek Yuen in Pudu also came to mind when we’re discussing Hong Ngek, and Yut Kee. You can find this type of restaurants almost everywhere in Penang though, right? wahahha…luckily 50% of the time I eat with my gf, and she is caring enough to let me take pictar. Oh, Penang ah? Paiseh, I actually have only met a few Penang floggers myself. Found myself repeatedly in KL for work more than holidays though, really. 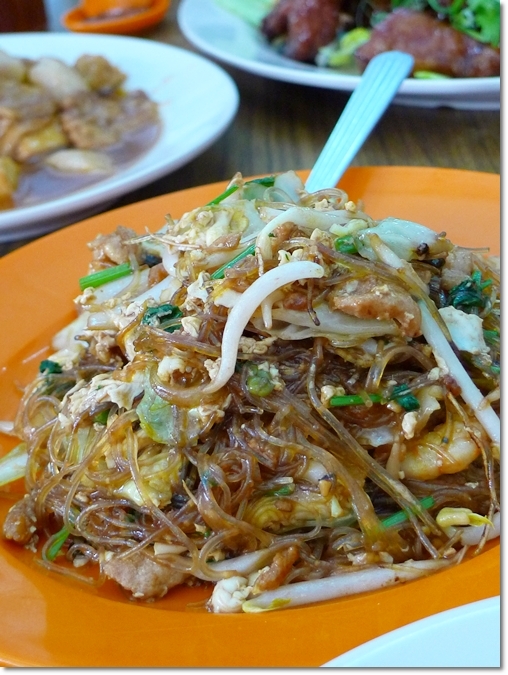 Okay, the next round in Penang, or Kedah, you’re in for some tour guide’s duty, alright? We can always do another meet up… maybe Sek Yuen this time?
? ?Hong Ngek is a Hing Hwa restaurant that had been there for as long as I can remember (more than 50 years old). They have very good fried mee sua. Great place to eat but parking is a headache. Better to go in LRT and walk from Mesjid Jamek station. Thanks Tham. First time hearing about the Hing Hwa clan, and asked my mother about it. They’re a branch of the Hokkien clan, right? Parking is a terrible, terrible headache really. Yeah, I’d take the LRT option if I’m ever going again. wow! congrats! i read both thestar.com.my and rasamalaysia webbies. read the latter but how to read the article of yours on thestar webbie ar? Hi adel, that was a rather old article, when I was still blogging from my other blog. Thanks for the reminder, anyway. The article’s on Menglembu’s famous Chee Cheong Fun served with a variety of curried dishes, manned by a pair of twins. Let’s go do a few more different places next time ur in town. Sek Yuen perhaps? Northern SUPERSTAR?!!! Hahahahaha .. that made me choked. Sek Yuen it is !!!! I’m awaiting the chance. Or Pudu Wai Sek Kai, IF …. everyone’s up for it. wooo sek yuan is nice!!!! Can do a Pudu crawl 😛 after Sek Yuen cross over to Wai Sek Kai!!!! Yeah, true also. Since they’re within reach. But then again, after Sek Yuen I doubt I can down another piece of fried chicken. Or a bowl of Hakka Mee/CCF. Maybe the tong sui would do?